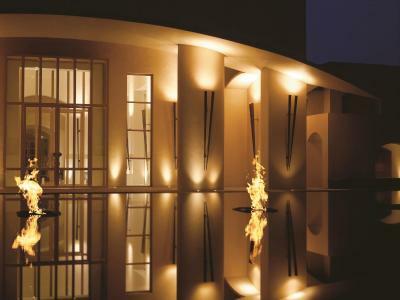 Lock in a great price for Trident Gurgaon – rated 9.3 by recent guests! 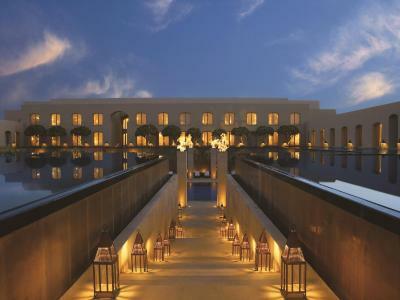 The Trident Gurgaon was our first stop when we landed in India at midnight. It was beautiful, rooms were very clean, and staff was extremely nice. Though we only stayed for 8 hours to rest, we still thought it was a great value. The property and our room were really nice. Room was spacious and comfortable. Gardens and pools were immaculate. A very impressive hotel landscape, good food and services -- reasonably close to Delhi airport. The staff is super hospitable and they treat guests royally. I was also offered a free cab ride and a complementary lunch as I highlighted the noise canceling issue. It was actually not their fault. Great hospitality. 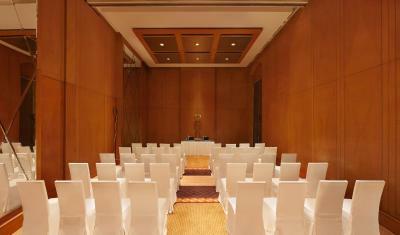 Excellent staff especially Madam Neeraj(manager housekeeping). I loved the way they welcomed me and my sister to the hotel. They walked us around the hotel grounds informed us of what is available and if we had questions the hotel staff did not mind answering any questions. 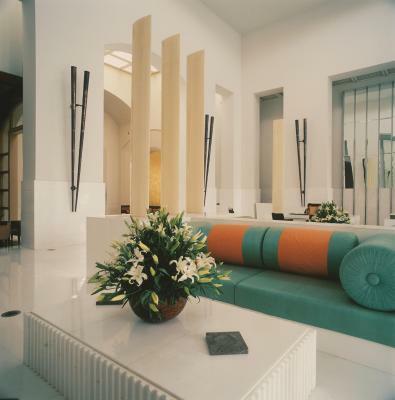 This is a superb hotel with excellent, helpful and friendly staff, exceptional restaurant Saffron, and luxurious appointments. Cannot rate too highly. On scale of. 1-10, it’s an 11, about an hour from downtown depending on traffic and 30 minutes to airport. 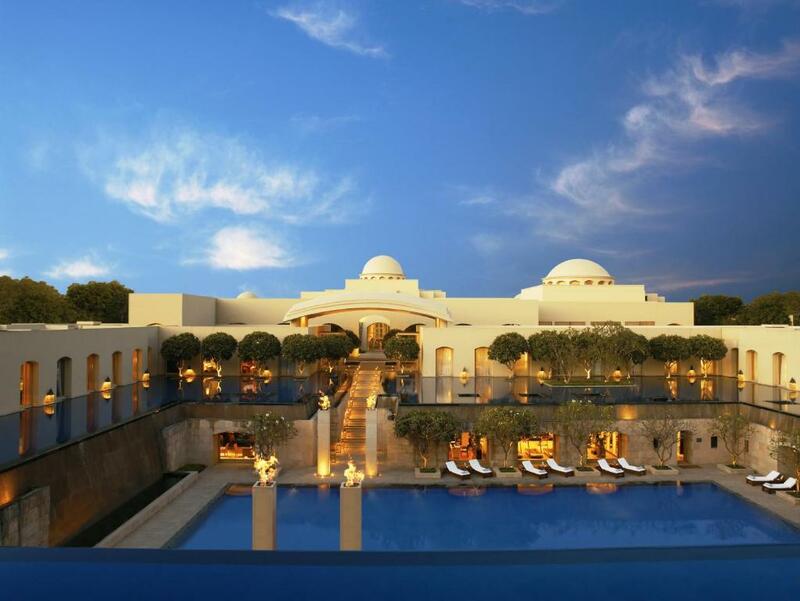 Trident Gurgaon This rating is a reflection of how the property compares to the industry standard when it comes to price, facilities and services available. It's based on a self-evaluation by the property. Use this rating to help choose your stay! 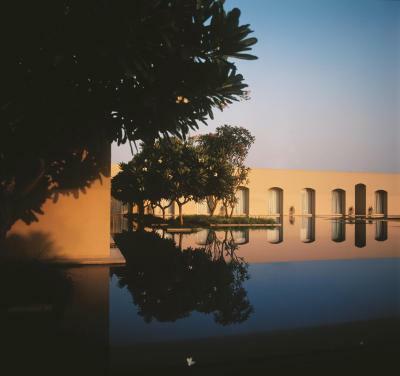 Set on a sprawling 7 acres of landscaped gardens is the luxurious Trident Gurgaon with its 5 dining options, large courtyards, reflection pool and fountains. 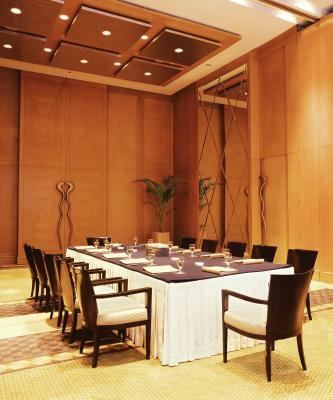 Located in the business district of Gurgaon, it is a 2-minute walk from DLF Tower. 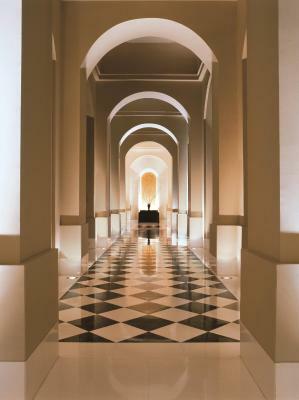 Free WiFi is available in the rooms of the property. 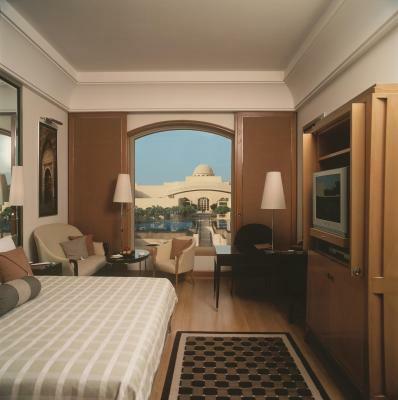 Rooms have wooden flooring and are decorated in natural tones. 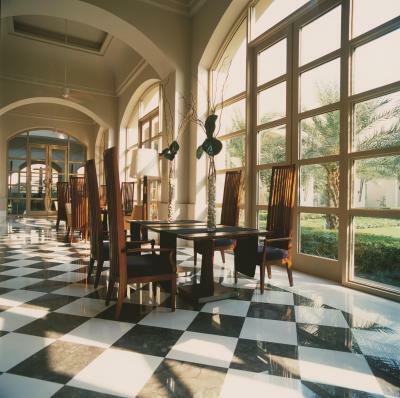 Offering views of the garden or pool from the large windows, they are equipped with air conditioning, a mini-bar and tea/coffee maker. The private bathroom comes with a shower and hairdryer. 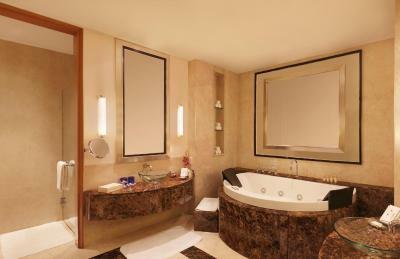 Select rooms offer a separate bathtub and butler service. 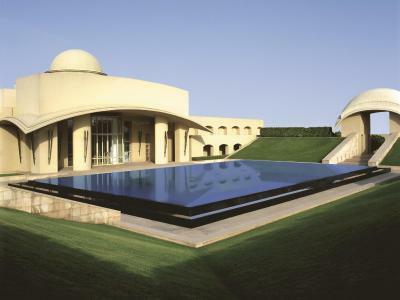 Facilities provided by Trident Gurgaon include a beauty salon and business center. 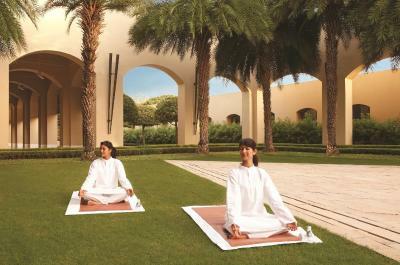 Guests can also make arrangements for yoga, car rental and laundry. 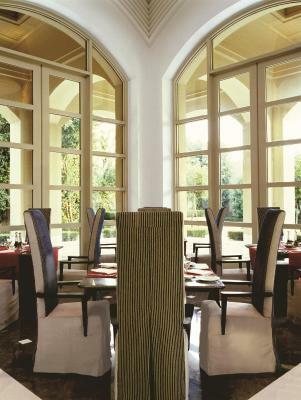 Cilantro offers a menu of Italian, Mediterranean and South East Asian dishes, while Indian specialties can be enjoyed at Saffron. 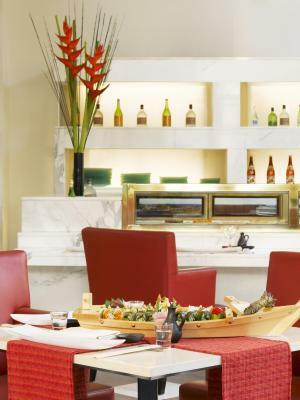 Japanese dishes are served at Konomi. 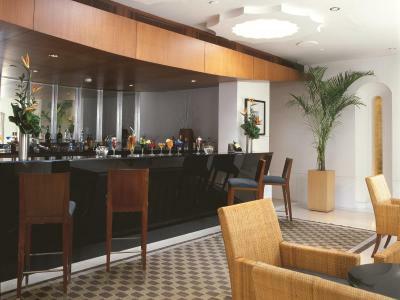 A variety of alcoholic beverages are available at The Bar and Pool Bar. 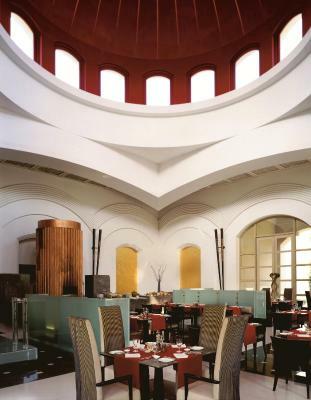 Gurgaon Railway Station is 7.5 mi away, while New Delhi Railway Sation is 20 mi from Trident Gurgaon. The hotel is 0.6 mi from Ambiance Mall and a 30-minute drive from Indira Gandhi International Airport. 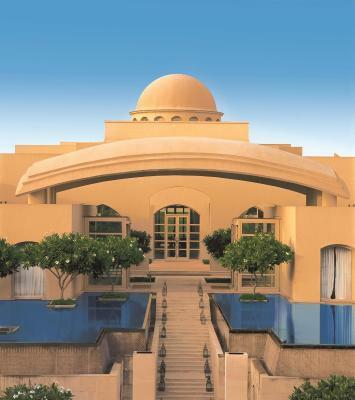 When would you like to stay at Trident Gurgaon? 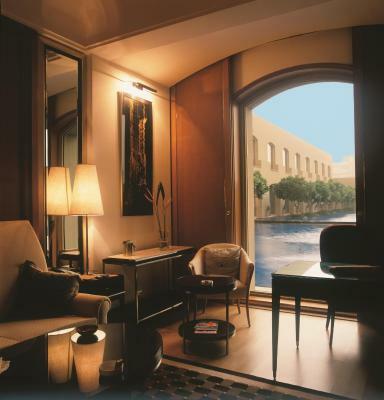 Guests can enjoy a 25% off on Spa. 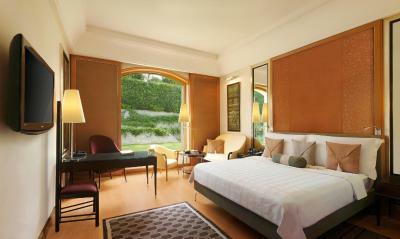 Offering views of the garden, rooms are equipped with air conditioning, a mini-bar and tea/coffee maker. The private bathroom comes with a shower and hairdryer. 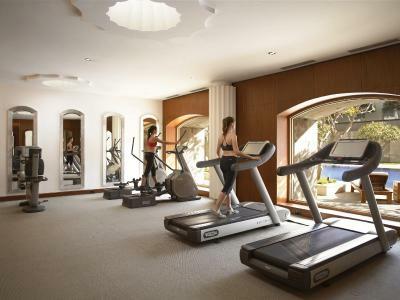 Guests can enjoy a 25% off on Spa. 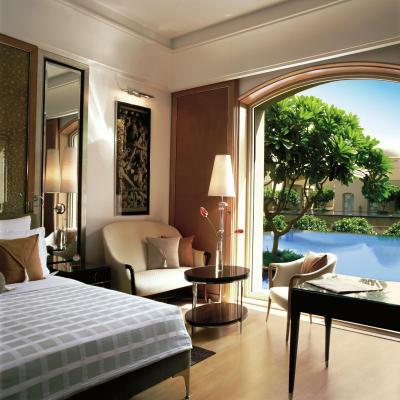 Offering views of the reflection pool, rooms are equipped with air conditioning, a mini-bar and tea/coffee maker. The private bathroom comes with a shower and hairdryer. It has a separate seating area. 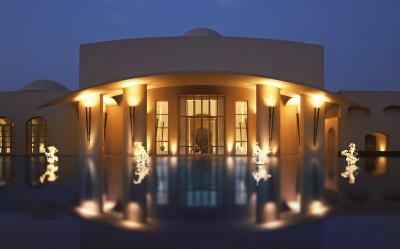 Guests can enjoy a 25% off on Spa. 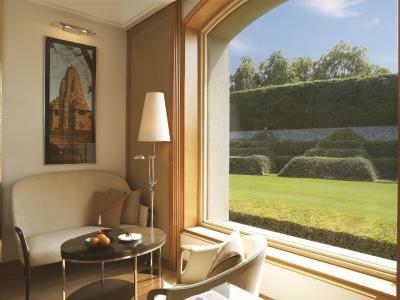 Large rooms offering views of the garden are equipped with a walk-in wardrobe, a separate shower stall and bathtub, mini-bar and tea/coffee maker. Butler service is available. 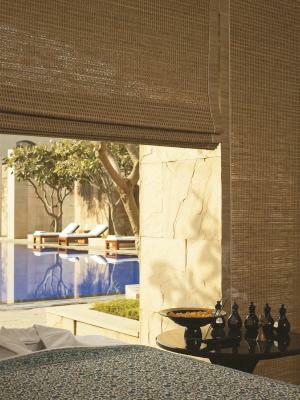 Guests can enjoy a 25% off on Spa. 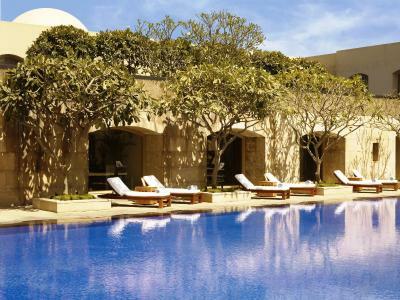 Large rooms offering views of the pool are equipped with a walk-in wardrobe, a separate shower stall and bathtub, mini-bar and tea/coffee maker. Butler service is available. Guests can enjoy a 25% off on Spa. 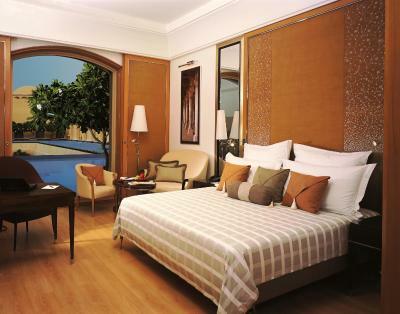 Spacious rooms offering views of the pool are equipped with a walk-in wardrobe, mini-bar and tea/coffee maker. 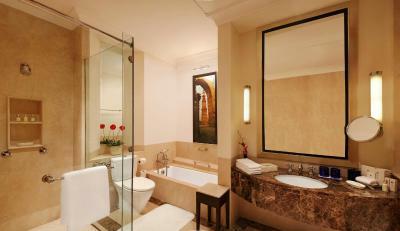 It consists of bathroom with shower cubicle. It has a separate living area, bedroom and an additional powder room. "Our property is spread in an expanse of 7 acre with 2 acre of waterbodies. 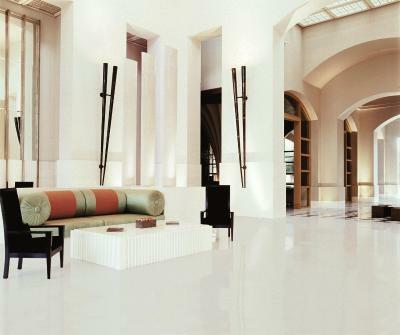 The concept of the hotel is light, height and space. 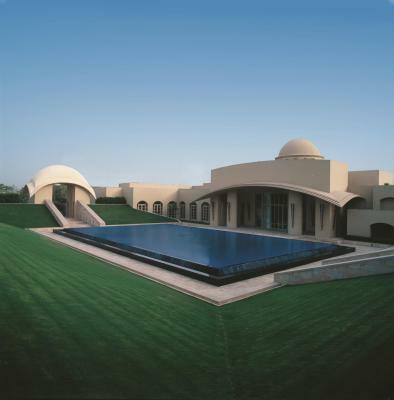 It is characterized by domes, lond coridors and walkways, reflection pools and fountains. 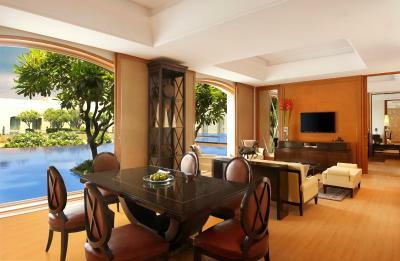 The hotel has 136 rooms which includes 1 presidential Suite and six Executive Suites. 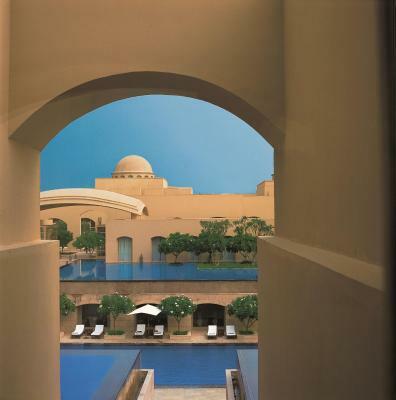 Overlooking garden, courtyard and pool. Hotel has 3 Restaurants Cilantro- All day dinning. Konomi - Japanese Restaurant. 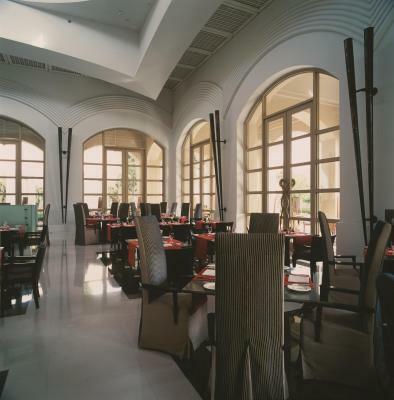 Saffron- Indian Speciality Restaurant. 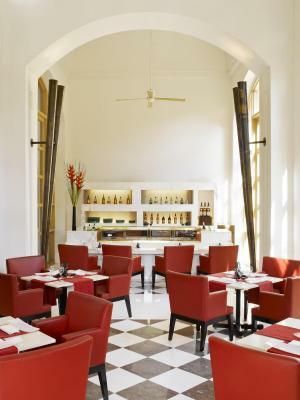 The Bar which is perfect ambience for relaxed drink or informal meeting"
House Rules Trident Gurgaon takes special requests – add in the next step! 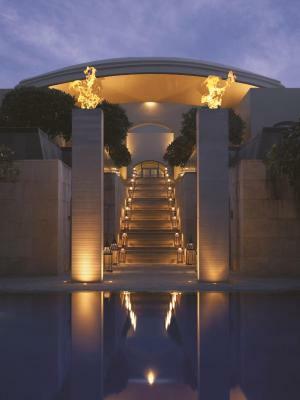 Trident Gurgaon accepts these cards and reserves the right to temporarily hold an amount prior to arrival. 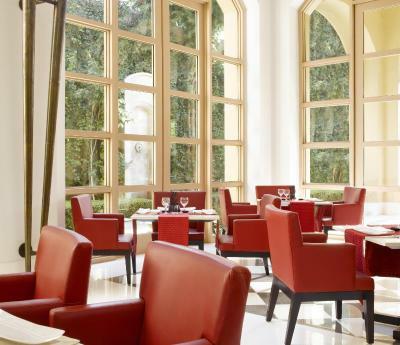 overpriced restaurants, the location is not great. excellent service, cleanliness, facilities, comfort, complementary shuttle to ambience mall where shopping and restaurants are good. chef prepared healthy meals though pricey. Awesome pool , great food!!! 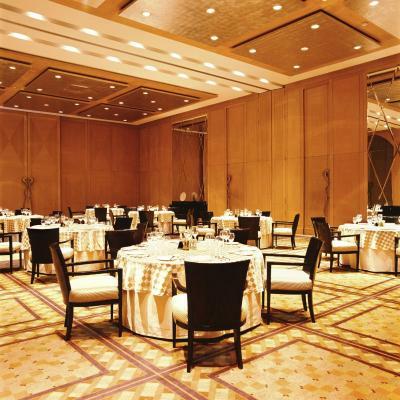 I booked it for my brother and we were a couple of friends and celebrating specially mentioned that during bookingand we wanted to be their till late the staff was so petty with the attitude for us to leave with some excuse or another while had booked the similar property of oberois just a month earlier in Gurgaon and they were unbelievablely hospitable and very nice making a celebration worth while ! They did allow us to stay till late but so much pestering went into it and was not worth it ! The food was below average. I tried two if their in house restaurants and went with Chef's recommendations but was throughly disappointed by the taste. Few problems with breakfast but the hotel rectified it straight away. 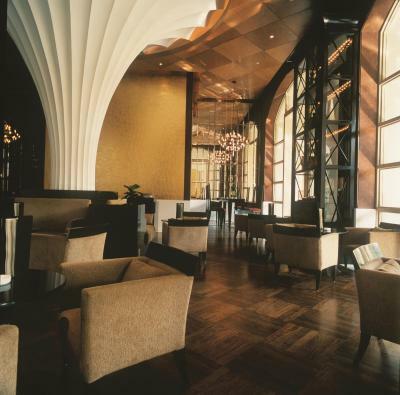 Loved the Sunday Brunch Great location, and loved the proximity to the mall and cyber hub. 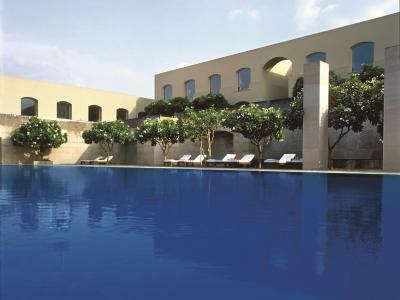 Great location, excellent breakfast and food, lovely pool. I liked it there very much. Staff was very polite and I felt safe and secure. Just a bit out of the way, had to get transport to the shopping mall or anywhere.